Nicolas – the husband- likes to watch TV5, the French channel, mainly news or entertainment shows, but the other day he was watching some general culture/travel show that had a cooking segment. 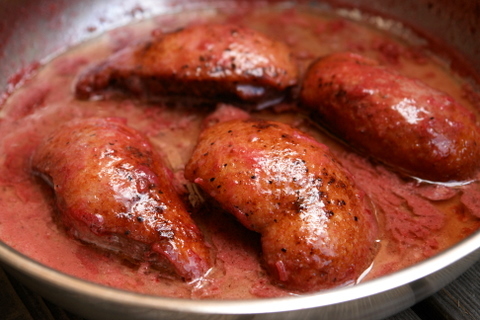 I wasn’t really paying attention to the TV since I was checking email and Facebook (my addiction), but then I heard something about raspberries and duck, so I looked up and watched as the chef sautéed some duck breasts, added shallots, raspberry beer, raspberry puree or syrup, and some cream. I made a note of that in my recipe ideas notebook – yes, I have a little notebook I carry around where I write down ideas for new dishes to try -, I then kind of forgot about it for a while, by the time I decided to try the recipe all I had as reference was a small note that said: duck with raspberry beer sauce, uses shallots, duck broth, raspberry beer, fruit syrup or raspberry pure, cream. Nicolas wasn’t really that helpful about helping me remember the process or quantities, but I could taste all of those ingredients working well together and I really loved the idea of using raspberry beer in the recipe. Of course I could not find duck broth at the grocery store and was not about to spend several hours making some for a dish that takes less than 30 minutes to make, I guess I could have used chicken broth but I decided to just leave it out. 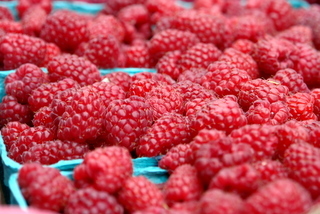 If you’ve been grocery shopping the last week you’ve probably noticed that in anticipation of Valentine’s day every store has an abundance of raspberries and strawberries, last month it would have been so hard to find any decent berries and now they’re everywhere. The berries are a reminder that we (in the Northern hemisphere) have made it through the worst part of the winter and that those nice warm days -and farmers markets full of wonderful fruits/vegetables- are not too far away. 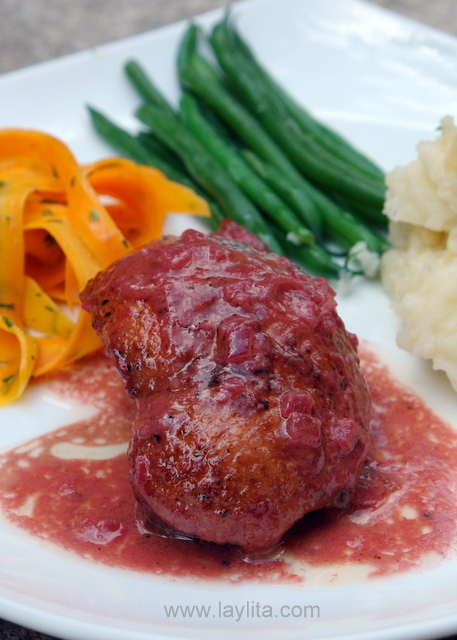 So, if you couldn’t resist buying some of those raspberries and are thinking about ways to incorporate them into your Valentine’s Day meal, this duck with raspberry sauce is an impressive yet very easy dish to make. 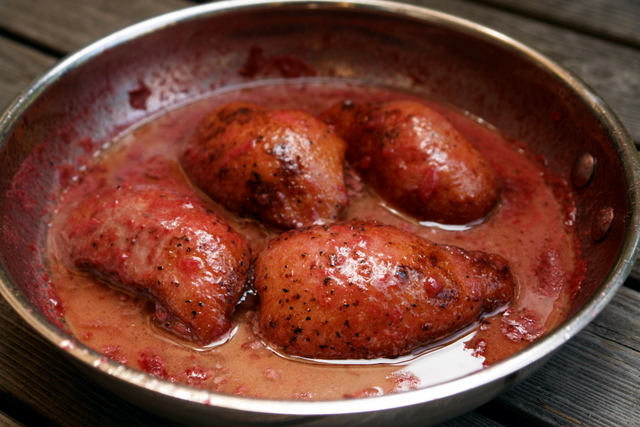 You can also make the raspberry puree using frozen ones. 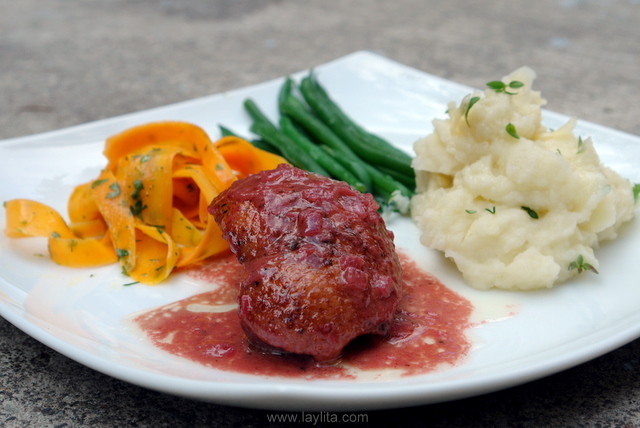 I served these duck breasts with steamed green beans, a carrot salad, and mashed potatoes drizzled with truffle oil. Suggested side dishes – Steamed vegetables, carrot salad and mashed potatoes drizzled with truffle oil. 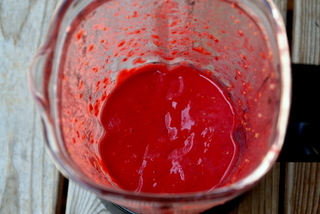 Puree and strain the raspberries, save for later. 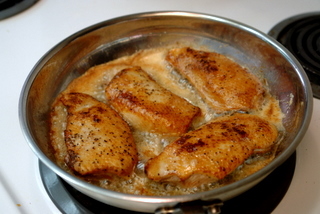 Heat the butter in a saute pan over high heat, add the breasts skin side down, cook until golden and turn them over. 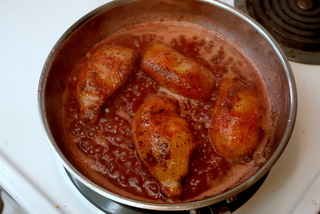 Lower heat to medium, add the minced shallots and the raspberry beer, cook until the shallots are soft, about 5 minutes. 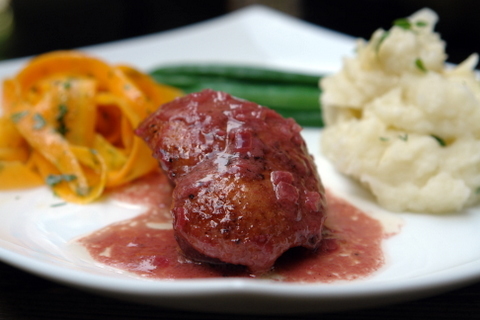 Mix in the raspberry puree, keep cooking for another 5 minutes. Stir in the cream, remove from heat and serve with your choice of side dishes. Thank you again for the delicious recipes and photos. 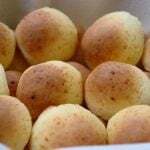 Even if I have little appetite with my terrible cold, just your pictures give me inspiration there are all these good foods to look forward to. 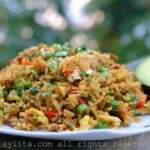 Laylita, I discovered your blog a few weeks ago via The Cooking Adventures of Chef Paz. I absolutely love your blog and the food is outstanding! Great job. There are so many things I see that I am familiar with, while I too am from South America, I come from the only English-speaking country on the continent. I also wanted you to know that I made your baked plantains and will post about it tomorrow on my blog with the link back to your post. Looking forward to many more of your creations. Hi Cynthia – Thank you for your nice comment, I am flattered that you are posting about the baked plantains! I love your blog, the photography is so beautiful! You are the only person that can make quinoa look pretty. 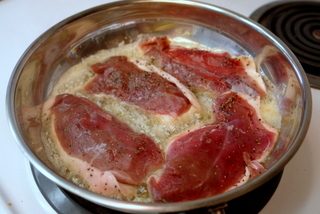 Hi Nurit – I get fresh duck breasts at Pike Place Market, or frozen ones at Whole Foods . This IS an impressive-sounding recipe! An interesting combination! 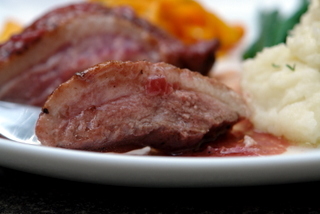 Duck pairs incredibly well with sweet sauces! Delicious!